America’s largest RV and Camping Show in our backyard. America’s largest RV and Camping Show is set to begin in few short weeks. 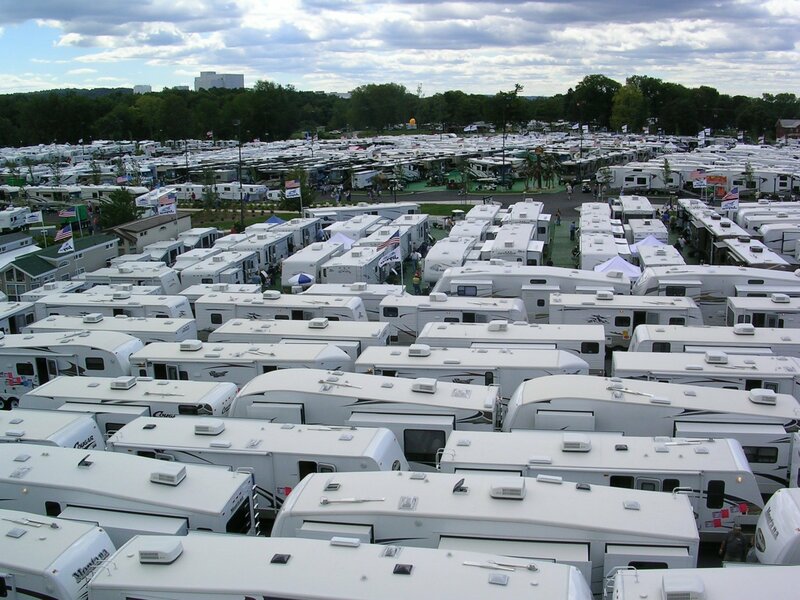 Commonly called the Hershey RV Show or the Pennsylvania RV Show, America’s largest RV show lives up to its name. Beginning September 12, 2012 and continuing until September 16, 2012. This year’s RV show held at the Giant Center in Hershey, Pennsylvania, will have something for everyone. From the smallest tent trailer up to the largest, most luxurious motor-home. Some things to remember while attending America’s largest RV and Camping show. Hours are Wednesday through Saturday 9am – 8pm. Sunday the RV show is open from 9am – 5pm. Admission is $10 for adults, Children 12 and under are FREE. After 3pm you can purchase a Twilight Pass for only $5. A three-day pass will cost you $20. Wednesday, September 12 is Senior Day (55+) at America’s largest RV Show. Fifty percent off one full ticket price. And Veterans are being honored everyday, save $1 off your admission. With proper ID. Remember only cash is accepted at entrance gates. Today’s busy parents face the challenge of planning family vacations that provide quality time together without breaking the bank! In growing numbers, they’re finding the solution to their problem in recreation vehicles (RVs). RVs have become extremely popular for families with children, previously the province of the grandparents. In a study conducted by Louis Harris and Associates, 92% of parents who own RVs said they are the best way to travel with your family or children. The additional opportunity to go on short weekend trips adds to value of owning an RV. The 44th Annual Pennsylvania RV & Camping Show can answer all those families with “first time RV” questions. There will be over 1300 RVs to compare all the models, prices and options that are available. Plus there will be many seminars offered on everything from traveling with children to purchasing the proper type of insurance. The thought that only retirees own an RV is not true anymore! Many families enjoy the RV lifestyle many weekends a year with quick trips, long holiday weekend get-a-ways, family vacations, football tailgate parties, NASCAR trips, plus many more activities that keep the RV family on the road! Everything from the small pop-up camper to the full size motor-home lets the RVer “Pursue Their Passions” no matter where they are, no matter what they are! No reservations, to schedules, no lines, no lugging luggage…..freedom to “Pursue Your Passions”….let the first move be visiting the Pennsylvania RV & Camping Show and explore the possibilities! As I write this, the ‘sweetest place on earth’ is currently one of the wettest. With onset of days of rain and major historical flooding of parts of Hershey, Pennsylvania. One must wonder how the ‘sweetest place’ will rebound. The world will be able to see for themselves starting September 14 through September 18, when Hershey plays host to the largest RV show in America. The 43rd Annual PA RV & Camping Show opens to the RVing public at 9am on Wednesday morning. The 43rd Annual PA RV & Camping Show allows hundreds of exhibitors to showcase the latest and greatest in camping and RVing supplies. 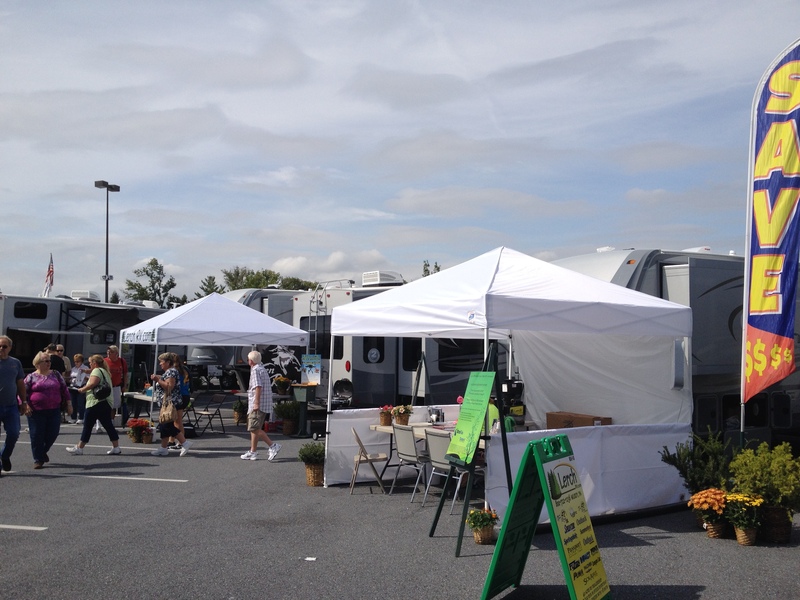 The parking lot of the Giant Center is transformed into one large RV park, with all makes and models of RVs present. From new high-end luxury motorcoaches to entry-level tent trailers, you will need at least two full days to view everything. This large show is seen on HGTV and is labeled as ‘not just another RV show’. As we approach the start of the show, let us all hope that mother nature has indeed thrown everything she could at Hershey. And once the parking lot of the Giant center dries out and makes that transformation to the largest RV parking lot in the US, bring your family out to enjoy a great day or two. Adult admission is $9 and children 12/under are free. There are senior discounts and veterans discounts that are available daily. Plus a 3-day show pass for $18. And if you are looking for a brand new 2012 Open Range RV. Find Pennsylvania’s largest Open Range Dealer, Lerch RV. The Open Range display is just a hop, skip and jump from tram stop #4. Look for the original breed of light weight fifth wheels, along with the newest offerings of truly half-ton towable units. Do not forget that Lerch RV also offers the quality brands of Montana, Sprinter, Outback, Passport, Springdale, Summerland, Sydney by Outback, and Copper Canyon, all manufactured by the Keystone RV company. If you are in the market for a new RV, come see a Pennsylvania dealer who has been in business for over 34 years.